This post is sponsored by ConAgra Foods and The Motherhood. All opinions are 100% mine. I absolutely love my job as a first-grade teacher. I feel so honored to be able to do what I do for a living. But, just like with any career, there are things that are very hard to deal with. One of those things is seeing a hungry child. Unfortunately, I am not the only one who sees these children. Nearly 1 in 5 children in the United States may not know where their next meal is going to come from, that is nearly 17 million kids! ConAgra Foods wants to end this epidemic that is happening in our own neighborhoods and schools. 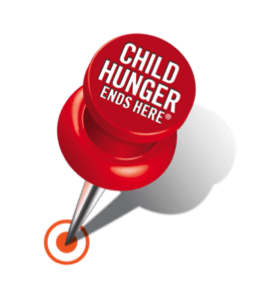 4 years ago ConAgra Foods created the Child Hunger Ends Here campaign. 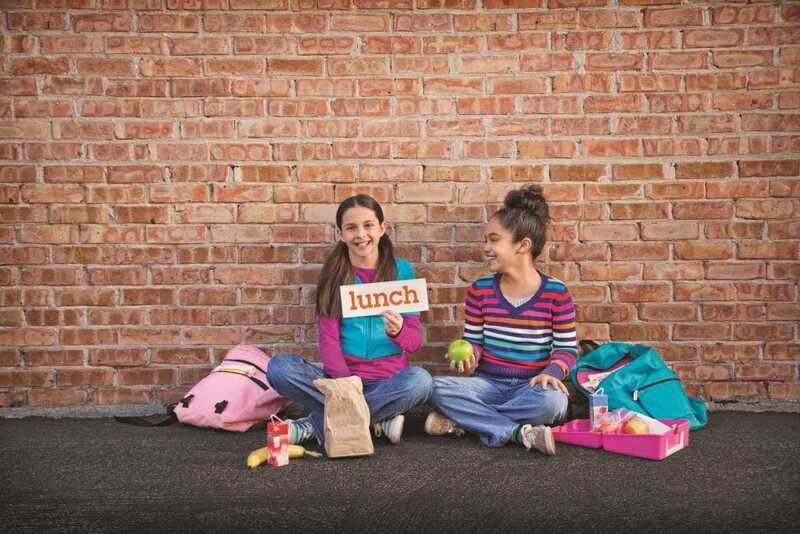 The campaign aims to donate over 3 million meals to hungry kids through their partner Feeding America. Tori Kelly wrote this song about Child Hunger and I absolutely love it! I hope you take a listen. She is really talented! Finding codes to enter is easy! Just look at the packaging of some of your favorite ConAgra Foods. I had several in my freezer and pantry that I didn’t realize where there. Just look for the red pushpin in grocery stores and purchase specifically marked packages of ConAgra Foods brands. 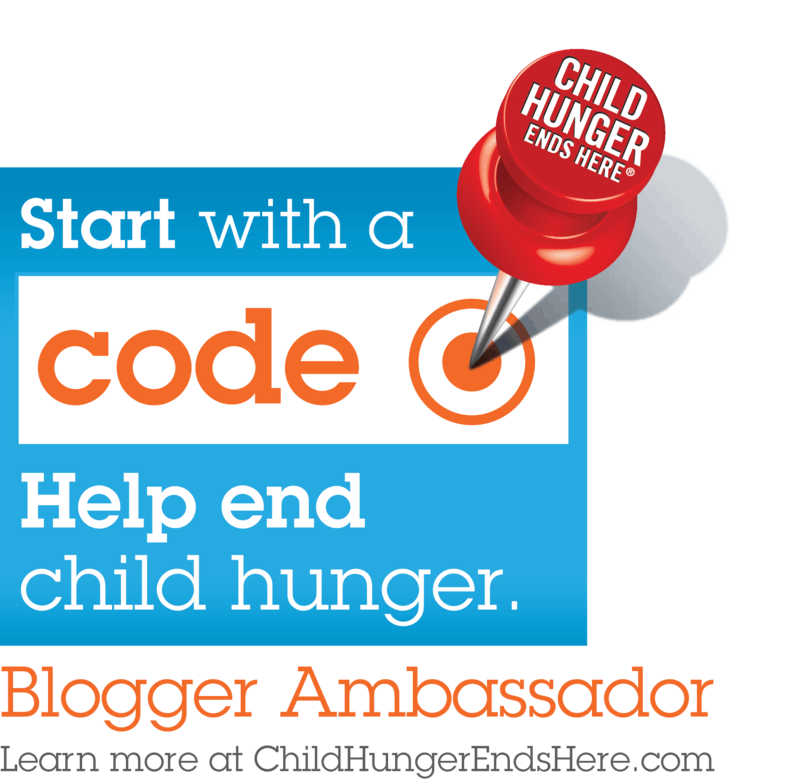 Each code entered before 8/31/13 donates a meal to Feeding America and brings us one step closer to our a goal of donating up to 3 million meals to Feeding America. You can also enter your zip code to submit your local Feeding America food bank into a competition for an 80,000-meal donation. This is a great way to give back directly to your local community! You can also help by taking this survey to help ConAgra gauge awareness of their ChildHungerEndsHere. Ending Child Hunger is going to take a lot of people taking little steps. 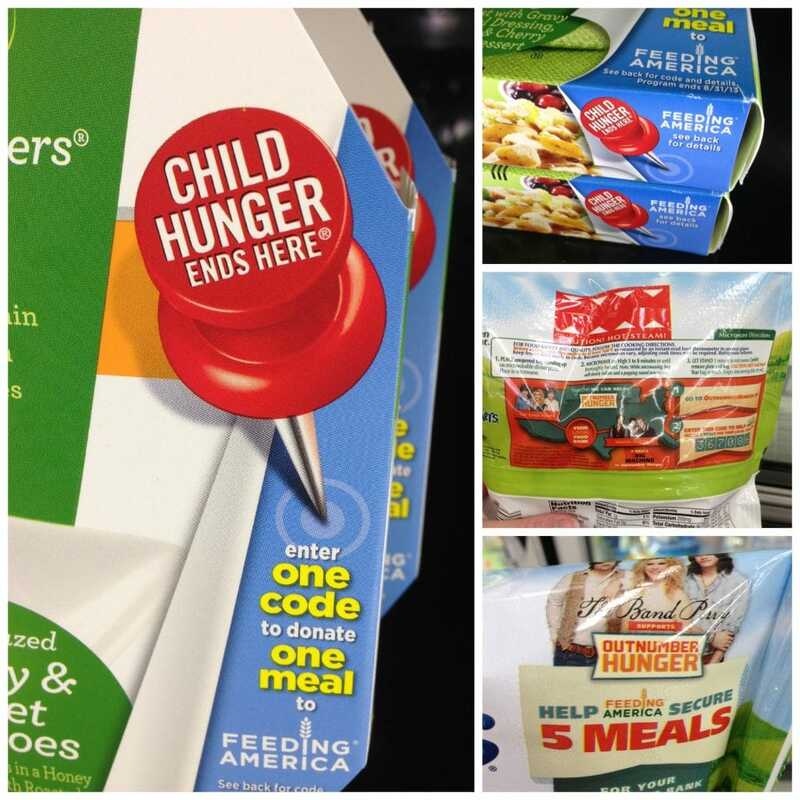 One of the easiest steps is helping ConAgra Foods by entering a code to supply a meal for a child. Join me today and help end this epidemic in America! what a great cause, we are putting our codes in!